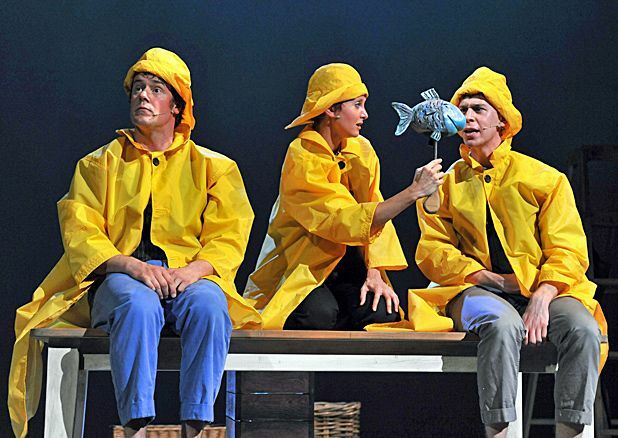 Scamp Theatre’s 2011 adaptation of Stick Man was a skilful blend of lively storytelling, great songs and playful actors. They did Julia Donaldson proud. So it comes as something of a disappointment to see what they’ve done with Tiddler. As you would expect from a company of this stature, the show is energetically performed, cleverly directed and makes innovative use of set, props and costumes. But when they say Tiddler and other Terrific Tales in the title, they’re not joking. No fewer than four Donaldson picture books are played out here – Monkey Puzzle, Squash and a Squeeze, Smartest Giant in Town and Tiddler. All of which have such huge theatrical potential on their own, so many characters and situations to squeeze fun and drama out of, that it seems a terrible shame to charge through each of them in this way. Stick Man took its time, and worked wonders. But none of these stories has been given the TLC it deserves. Underbelly, 0844 545 8252, until 27 Aug, 11.15am, £10–£11 (£9–£10).